I have started my weekly newsletter back up and each week, in addition to a blog recap I am sharing a meal plan for the week with links to the recipes. If you’d like help in planning your weekly meals be sure and subscribe to the newsletter on the right hand side of the blog! In just a few days a large infusion of candy may hit your house! 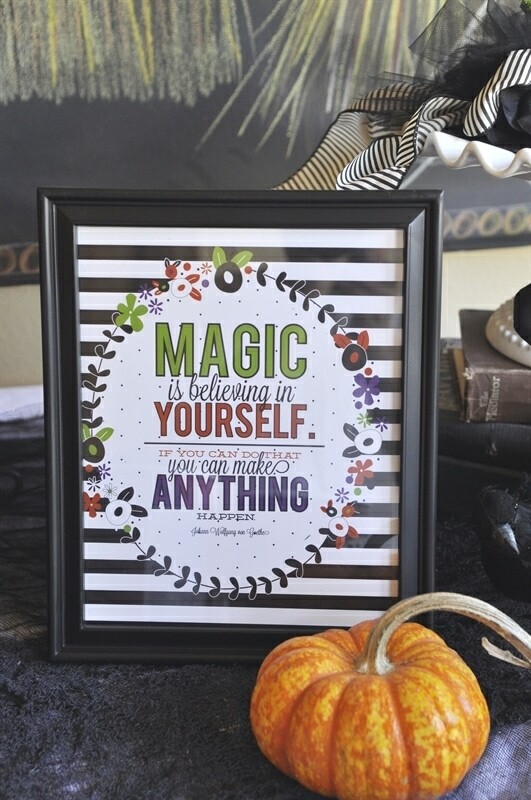 If you don’t have trick or treaters at your house you may be giving out candy to trick or treaters. If you are like me, you over buy because you hate to run out of candy! As a result I usually end up with a few bags of candy left over. Well, if you’re looking for something fun and a little different to do with that candy I have an idea for you. 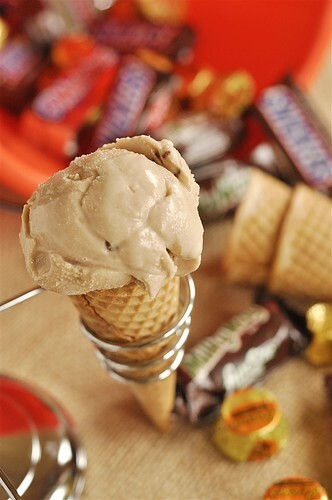 Candy Bar Ice Cream. If you don’t have leftover candy you can raid the kid’s stash when they are not looking. They won’t mind once they taste this ice cream!! Or if you have to, go to the store and buy some candy bars. This ice cream is worth it. 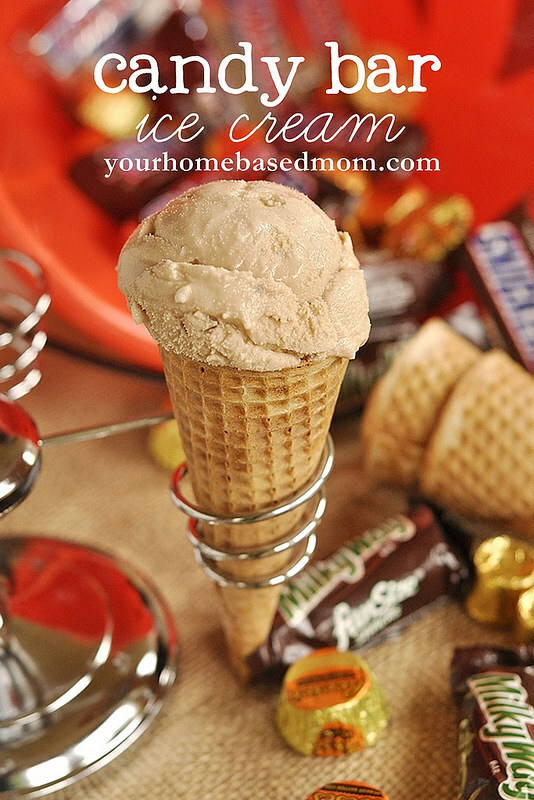 You will need 6 ounces of candy bars for the ice cream. Six ounces is three full size candy bars. 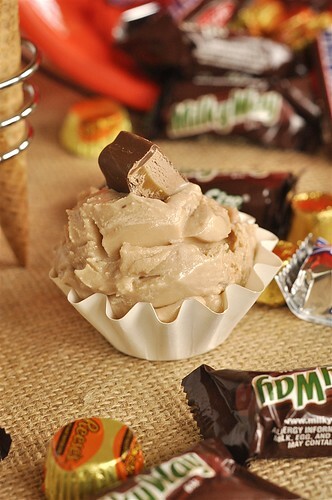 I used Milky Way because they are one of my favorites but I think it would also work treat with Snickers, 3 Musketeers, Rolos or Reese’s Peanut Butter Cups. I would just avoid candy bars that have a crunch, cookie base as you need the candy bar to melt. Cut the candy bars into small pieces. Place a glass bowl into a pan of simmering water (don’t let the water touch the bottom of the bowl). 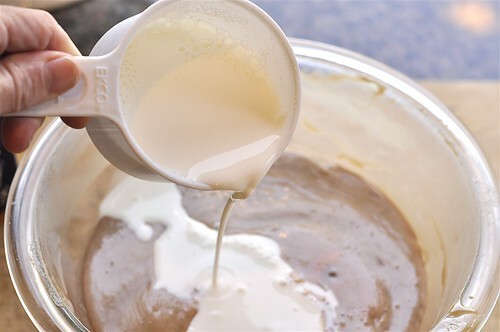 Pour in the sweetened condensed milk and the chopped up candy bar. Stir until the candy bar melts and mixture is smooth. Add in the milk and half and half. 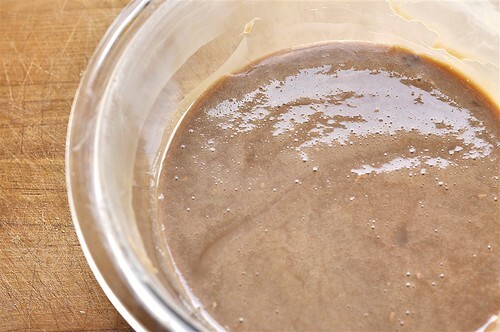 Put mixture into refrigerator and allow to cool for at least two hours. Put into ice cream maker and process. When it is done stir in the remaining chopped up candy bar. 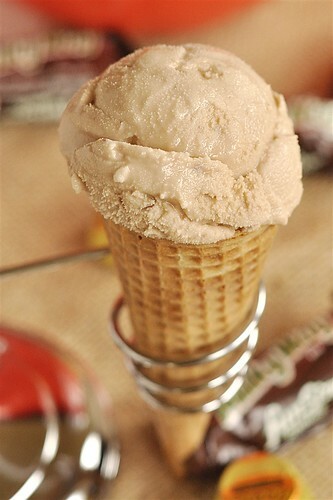 I love the smoothness of this ice cream – it reminded of soft serve ice cream. I can’t wait to try it with some other candy bar flavors. I’m thinking we’re going to love Snickers! Recipe slightly adapted from Food Network Magazine. 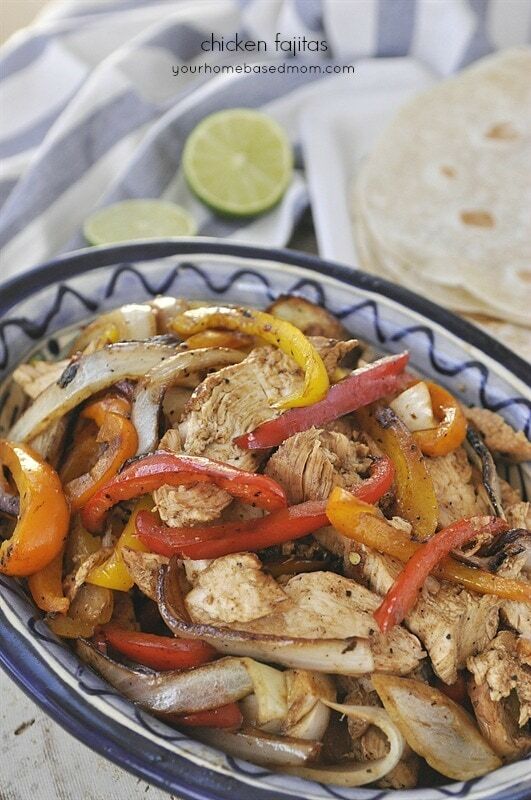 Place a heatproof bowl into a sauce pan of simmering water (don't allow bowl to touch the water). 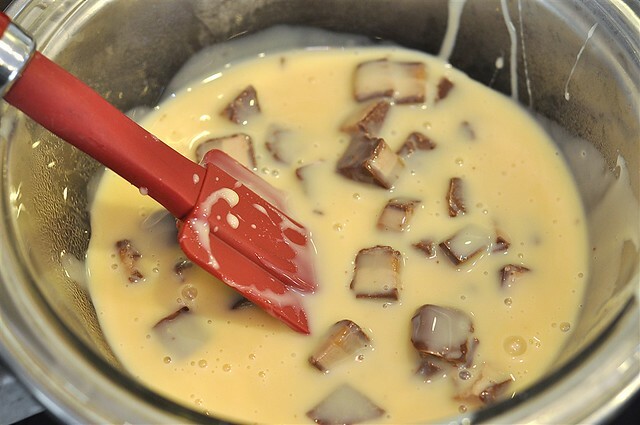 Add in sweetened condensed milk and 4 oz. chopped candy bar. Add in milk and half and half. Stir in remaining 2 oz. chopped candy bar. This is such a great use of leftover Halloween candy – thank you! I have got to get me one of those ice cream makers! You do or you could keep borrowing your brothers! I have a cuisinart 2 qt that sits on my counter that I love. YUM! I’ve decided Fall is the worst time to lose baby weight……. Not sure there is a good time! Totally worth buying candy for! Enjoy!! Seriously drooling! So glad I popped in from Sugar and Dots! New follower! Welcome! So glad you popped over!! well…yes, and yes. 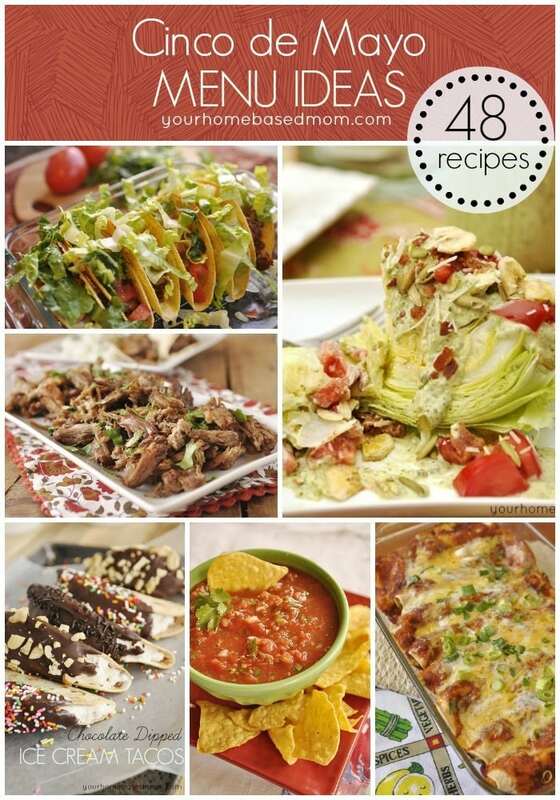 this looks amazingly deelish! 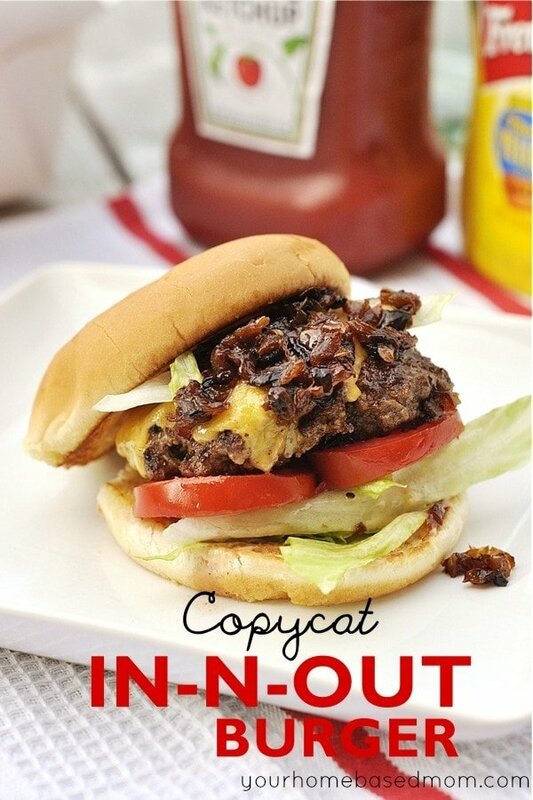 I’ve made this recipe, and it really is fabulous! 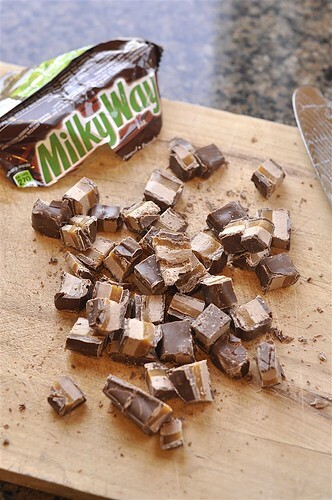 We tried Milky Way too, but I bet it would be awesome with Snickers! I can’t wait to try it again with another candy bar. I loved the creaminess of it.